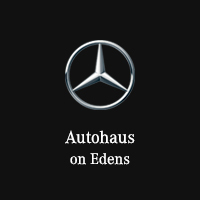 Whether you’re the proud owner of a brand new CLA Coupe or have been cruising behind the wheel of a S-Class for years, the team at Autohaus on Edens in Northbrook, IL has the most comprehensive inventory of genuine OEM parts available to fulfill your every need. If we happen to not have the particular part you desire in stock, that’s not a problem. We’ll order it directly from the factory in Stuttgart. Our passionate and knowledgeable Mercedes-Benz-certified technicians are always available should you have any questions regarding parts for your vehicle or the automotive services we offer. To request a part for your Mercedes-Benz sedan, coupe, wagon, or SUV, simply fill out the form below with your contact info, vehicle info, and the part you need. A service representative will reach out to you shortly to confirm your order details.